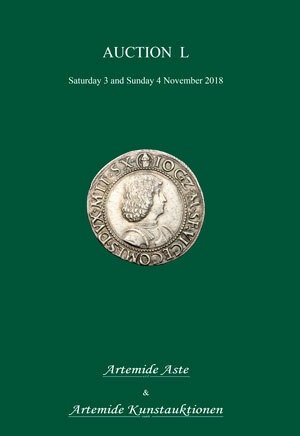 Coins 310 A. Plautius. 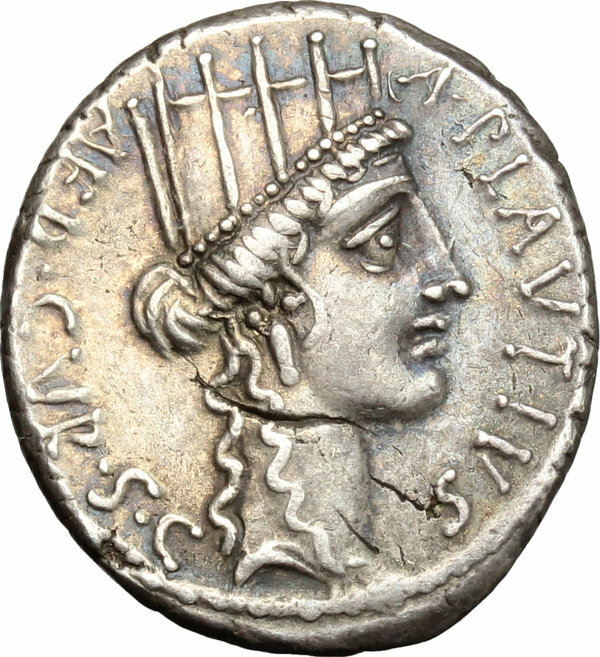 AR Denarius, 55 BC. D/ A. PLAVTIVS AED. CVR. S.C. Turreted head of Cybele right. 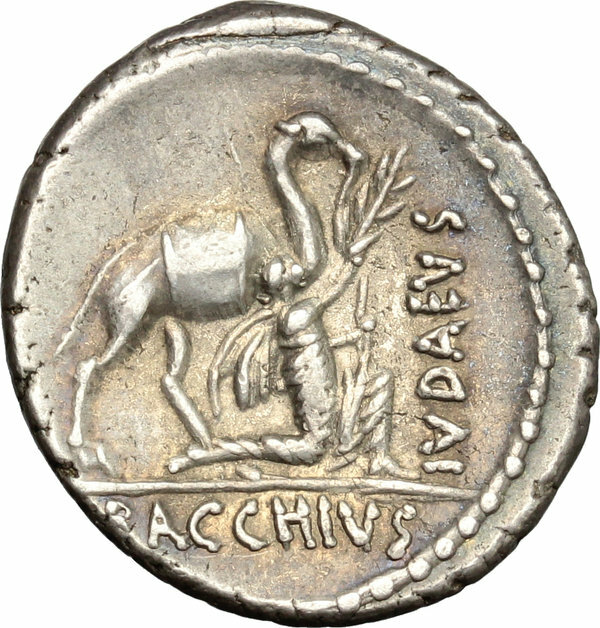 R/ Bacchius kneels right, with camel at his side, extending olive branch; in exergue, BACCHIVS; on right, IVDAEVS. Cr. 431/1. B. 13. AR. g. 3.96 mm. 19.00 Scarce. Good metal and full weight. Superb iridescent old cabinet tone. Scratch on obverse, otherwise EF.